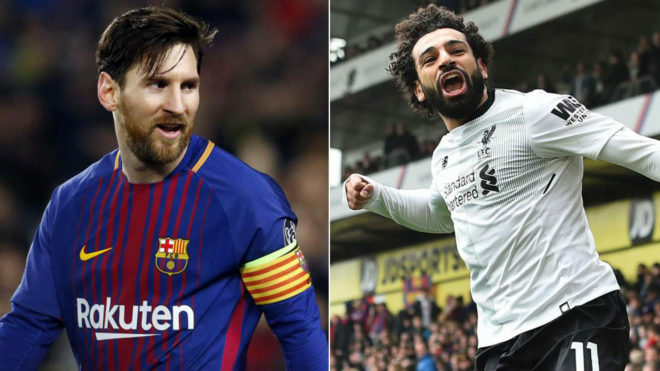 The race for the Golden Boot continues to take twists and turns, as it did once more on Saturday afternoon when Mohamed Salah opened up his lead at the top of the scoring charts. His late goal for Liverpool away to Crystal Palace not only secured them an important three points but also kept him in a comfortably lead in his bid for a maiden Golden Boot. He is now sitting on 58 points and 29 goals in first place, ahead of Lionel Messi of Barcelona with 25 goals. Third place is extremely close at present with three players all sitting on 24 goals; Harry Kane, Edinson Cavani and Ciro Immobile.